Join Aspirations Theatre Academy as they branch out into classes for adults. 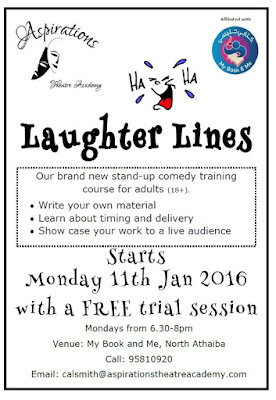 You can join their free trial session of Laughter Lines on Monday 11th January and try out various improvisation games, no obligation! 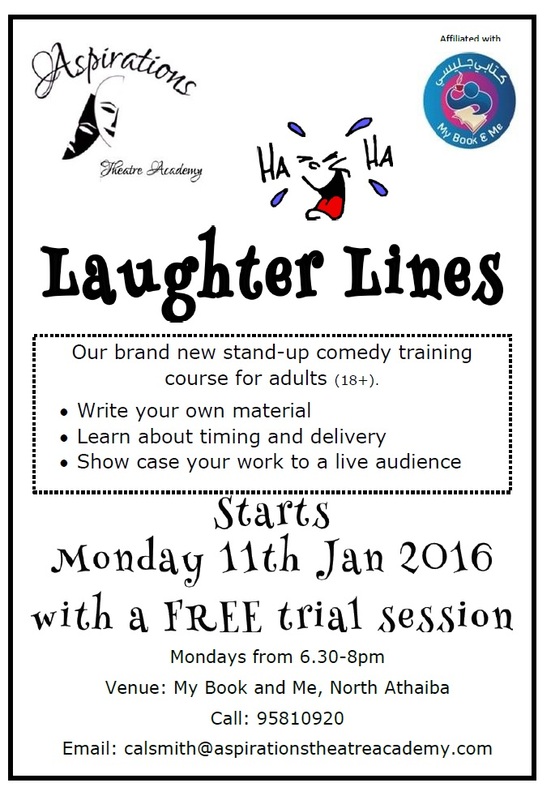 It will be a great laugh for all involved. 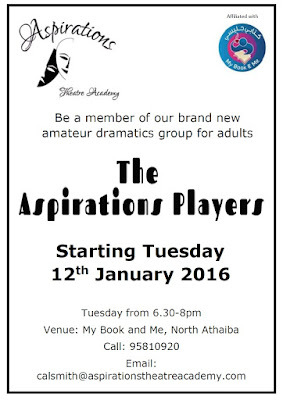 Alternatively if you are a budding thespian you might want to try out their Aspirations Players. This is an amateur dramatics society for adults. They will be meeting on Tuesdays or Wednesdays, (you decide!) to work on the comedy play 'The Woman Who Cooked her Husband' by Debbie Isitt. If acting isn't your cup of tea then join them anyway and be a part of our theatre community as a stage hand. You could work on wardrobe, lights, makeup or props. Call 9581 0920 or email: calsmith@aspirationstheatreacademy.com for more information. They also have a website here.